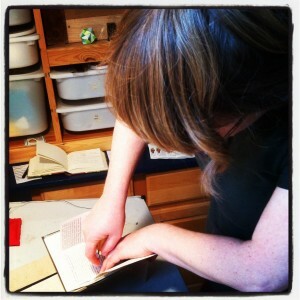 We’ve been busy cutting papers, punching holes, and sewing… books! Our little chapbook on Sardines was a hit at the State of the Book last month, and our Wisconsin Cheese book caused quite a stir of excitement at the Wisconsin Cheese Conference recently. Each of these titles are part of a first edition of handmade books produced in Ann Arbor by us! A limited number were lovingly made using a simple three-hole pamphlet stitch. 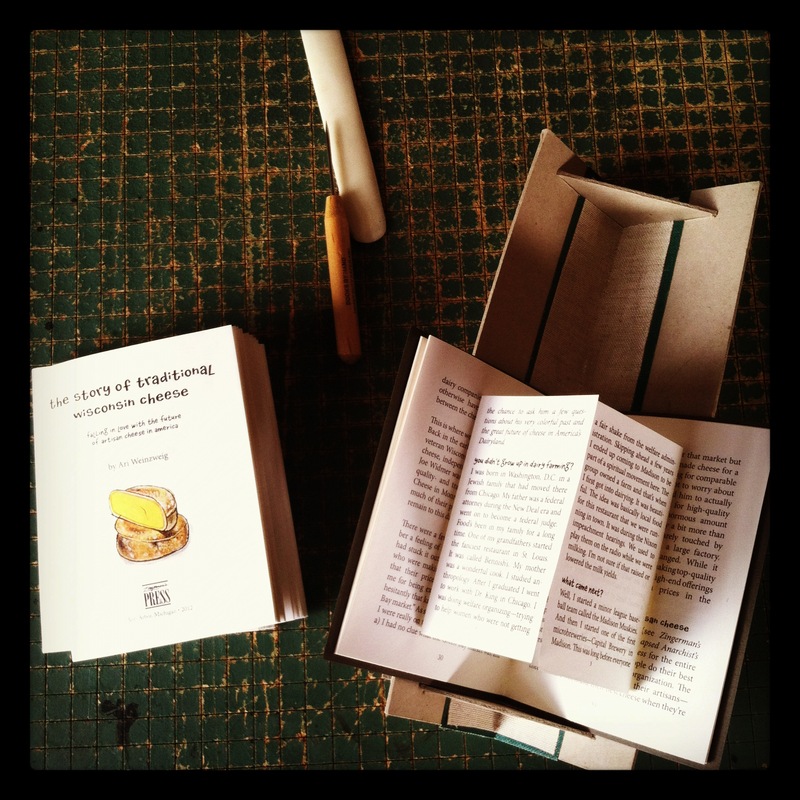 The Wisconsin Cheese chapbook has a special insert with an interview with Ed Janus. 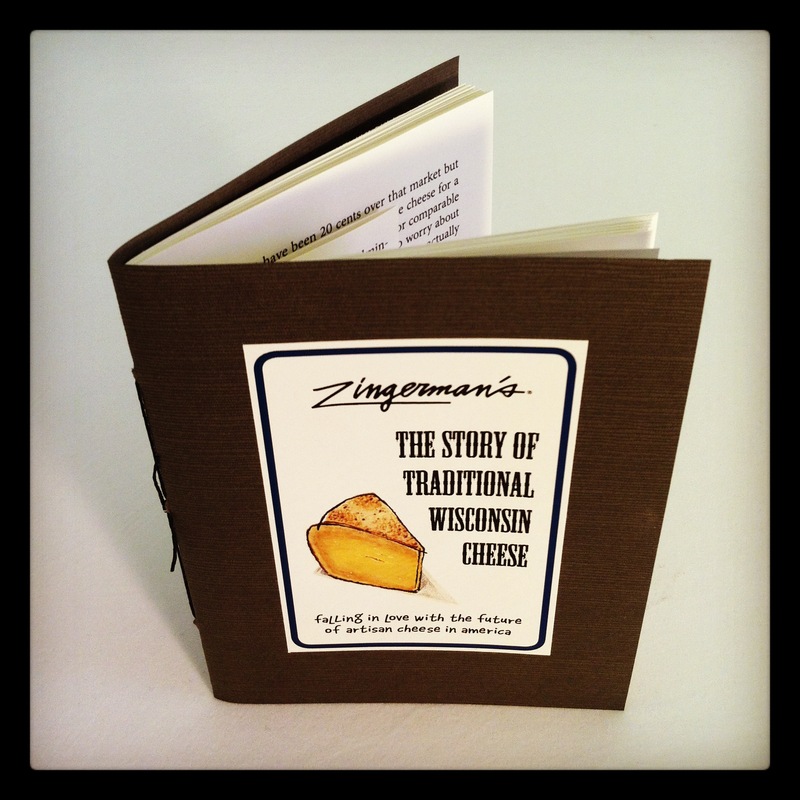 The text was written by Zingerman’s co-founder and best-selling food writer, Ari Weinzweig. 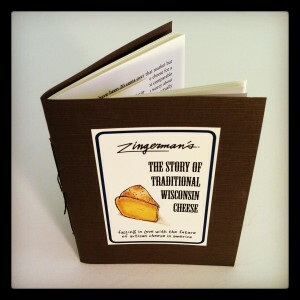 They were designed in the classic Zingerman’s style. The text was printed on sustainably-forested paper made in the United States. Whether you love sardines, cheese, or handmade books, we think you’ll enjoy these unique chapbooks.